Visitor information is not disclosed to anyone except to Winton personnel who need the information in order to respond to a request. We do not use the information to create individual profiles, unless otherwise stated, nor do we disclose the information to anyone other than those working to provide you with a response. We strive to keep your personal information in strict confidence and maintain appropriate procedures to ensure that personal information in our possession is accurate and, where necessary, kept up to date. Where we choose to have certain services, such as data processing, provided by third parties we do so in accordance with applicable law and take all reasonable precautions regarding the practices employed by the service provider to protect personal information. We undertake all reasonable and appropriate technical and organizational safeguards to protect personal information against loss, theft, unauthorized access, disclosure, copying, use or modification. It is the spirit of this statement to comply with the legislation set forth in The Personal Information Protection and Electronic Documents Act of Canada (April 2000). Non-Personally Identifiable Information refers to information that does not by itself identify a specific individual. The non-personally identifiable data we collect when you visit our website may include the Uniform Resource Locator ("URL") of the website that you came from before visiting our website, which pages you visit on our website, which URL you next go to, which browser you used to come to our website, your Internet Protocol ("IP") address, and any search terms entered on our website. This information is used by Winton for the operation of the service, to maintain quality of the service, and to provide general statistics regarding use of the Winton website. We do not connect the Personally Identifiable Information and Non-Personally Identifiable Information we collect on our website. Logged information is kept indefinitely as administrative and research material; it is not disclosed outside of the Winton host site personnel. Aggregate (completely non-identifying) statistics generated from these logs may be reported as part of research results. Parts of our site contain links to third-party websites for your convenience and information. If you use these links, you will leave Winton's website. When you access a non-Winton website, even one that may contain the Winton logo, please understand that we do not control the content and are not responsible for the privacy practices of that website. We suggest that you carefully review the privacy policies of each website you visit. This online Privacy Statement does not cover the information practices of those websites linked to our site. These other sites may send their own cookies to users, collect data, or solicit personal information. 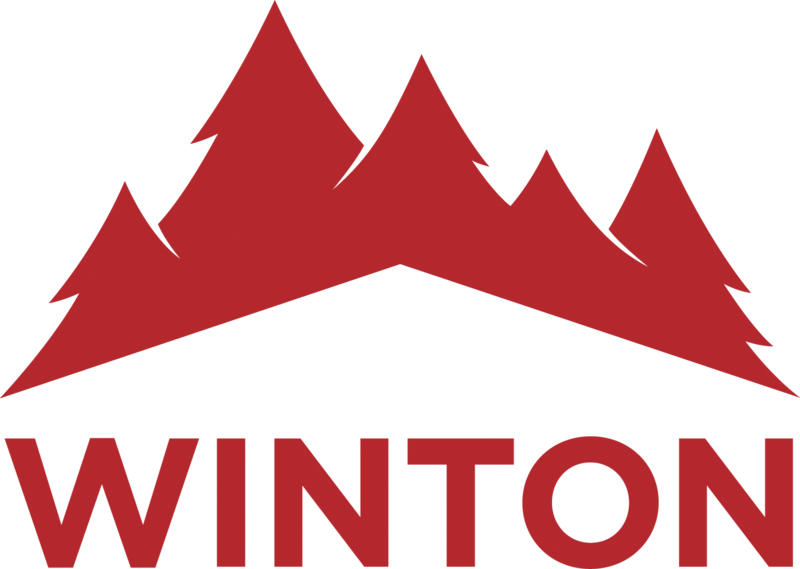 This Privacy Statement applies only to Winton's website and not other companies or organizations to which we may provide links to from our site. Winton will occasionally update this Privacy Statement. When we do, we will also revise the "last updated" date at the top of this page. We encourage you to periodically review this Privacy Statement to be informed of how Winton is protecting your information. Winton welcomes your comments regarding this Privacy Statement. If at any time you believe that Winton's website has not adhered to this Privacy Statement, please notify us and we will use all commercially reasonable efforts to promptly determine and correct the problem. You may not otherwise use, modify, copy, print, display, reproduce, distribute or publish any information from this website without the express permission of Winton. At any time, Winton may without notice make changes to this website or to the services or products described in this website. Information on this website may contain technical inaccuracies or typographical errors. Information may be changed or updated without notice. Winton may also make improvements and/or changes in the products and/or the programs described in this information at any time without notice. Please contact a sales representative for a complete product description and pricing quotation. Any comments or materials sent to Winton including feedback data, such as questions, comments, suggestions, or the like regarding the content of any such documents (collectively "Feedback"), shall be deemed to be non-confidential. Winton shall have no obligation of any kind with respect to such feedback and shall be free to reproduce, use, disclose, exhibit, display, transform, create derivative works and distribute the feedback to others without limitation. Further, Winton shall be free to use any ideas, concepts, know-how or techniques contained in such feedback for any purpose whatsoever, including but not limited to developing, manufacturing and marketing products incorporating such feedback. Winton makes no representations whatsoever about any other website that you may access through this one. When you access a non-Winton website, please understand that it is independent from Winton , and that Winton has no control over the content on that website. In addition, a link to a non-Winton website does not mean that Winton endorses or accepts any responsibility for the content, or the use, of such website. It is up to you to take precautions to ensure that whatever you select for your use is free of such items as viruses, worms, trojan horses and other items of a destructive nature. Winton content and identified in this site are trademarks or service marks of Winton. All other products or services referenced in this site are the trademarks or service marks of their respective owners. All of the Winton website's design, text, graphics, and the selection and arrangement thereof are copyrighted works of Winton © 2015. All rights reserved. You assume total responsibility and risk for your use of this website and the internet. Winton provides the website and related information "as is" and does not make any express or implied warranties, representations or endorsements whatsoever (including without limitation warranties of title or noninfringement, or the implied warranties of merchantability or fitness for a particular purpose) with regard to the service, any merchandise information or service provided through the service or on the Internet generally. Information in this website is provided "as is". Winton shall not be liable to any party for any direct, indirect, consequential or other damages for use of this website or other hyperlinked websites. It is solely your responsibility to evaluate the accuracy, completeness and usefulness of all opinions, advice, services, merchandise and other information provided through the service or on the Internet generally. Winton does not warrant that the service will be uninterrupted or error-free, or that defects in the service will be corrected. In no event shall Winton be liable for any direct, indirect, special, punitive, incidental, exemplary or consequential damages, or any damages whatsoever, even if Winton has been previously advised of the possibility of such damages, whether in an action under contract, negligence, or any other theory, arising out of or in connection with the use, inability to use, or performance of the information, services, products, and materials available from this website. These limitations shall apply notwithstanding any failure of essential purpose of any limited remedy. Because some jurisdictions do not allow the exclusion or limitation of consequential or incidental damages, the above limitations and exclusions may not apply.